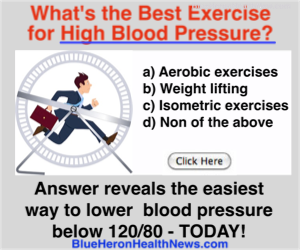 One of the many wonders of technology is how it has helped individuals manage their health easily and independently. 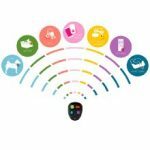 Smart scales, automatic blood pressure monitor cuffs, pulse oximeters – these are really popular ones and I’m sure you know or even have these already. But aside from these, there are a great number of gizmos and gadgets that you can choose from, depending on your health concern. Today, let’s talk about how you can take advantage of technology when dealing with memory problems, confusion, dementia and Alzheimer’s disease. If you or a loved one is experiencing these types of health concerns, keep on reading because these devices will make everyday tasks easier and provide peace of mind for your caregiver, family, friends, and most importantly, you. 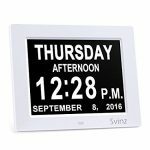 This clock boasts a high resolution 8-inch display that spells out which week, month, date and which part of the day it is – MORNING, AFTERNOON, EVENING, NIGHT or PREDAWN. You can also turn on the auto-dimming option which dims the screen light at night and brightens up during the day. It already comes with an alarm too, to remind you of meal times and when to take your medications. But in some cases, an alarm isn’t enough. This is where digital pill dispensers come in. 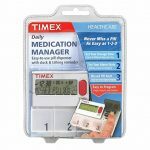 If you’re on a budget, this Daily Medication Manager from Timex will send talking, visual and beeping reminders up to 4 times per day. In case you miss a pill, you’ll also see an alert activated on the screen. We’ve all experienced misplacing our personal belongings and forgetting where we last put it. Thanks to item locators, finding missing items is now an easy task. This one from Click n Dig (cool brand name) uses radio frequency that can penetrate walls and cushions so you can easily locate your keys, remote control, wallet, smartphone and more. All you need to do is press a button and the receiver will emit a loud beep and a corresponding flashing LED light. Monitoring systems like tracking devices and webcams are great but there is a certain type of sensor that’s works perfectly for your senior loved ones who live independently. 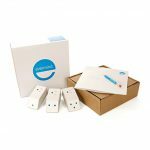 This one from Evermind attaches to different household devices such as coffee maker, bathroom door, or basically anything that you use daily. It’s a passive monitoring system that sends notifications to your loved ones/healthcare provider that everything is okay or when it detects changes in daily activities that could cause concern. 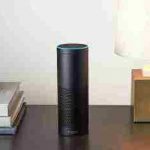 Amazon’s Echo has taken the world by storm and has been recommended by different healthcare organizations. 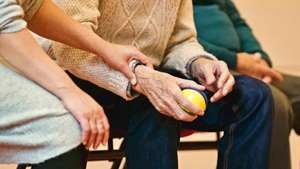 According to DailyCaring.com, the Echo’s voice-activated feature is great for seniors with dementia. It can play music and audiobooks. It looks up any information you need – weather, news, traffic, etc. To know more about the Echo, click HERE to read my previous article on Why Aging Adults Need Alexa (Echo) in their Homes.